We thought of different questions to ask Plop, from our book, the Owl who was Afraid of the Dark. Then we took turns to interview him. 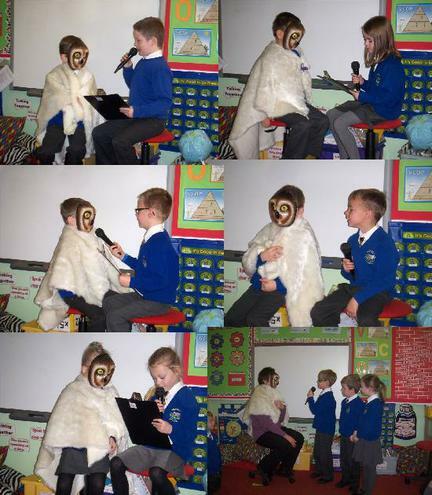 It was very hot being dressed as an owl! !